Hand mounting bracket holder for action cams. Easy to install and convenient to use, fully adjustable velcro strap to fit all hand sizes. High quality manufacture, light weight, you can mount your Gopro or similar action camera to your hand without feeling a heavy weight burden when you do sports. Glove style design fits comfortably to your hand and provides more reliable mounting that a wrist strap. Perfect for capturing video and pictures in multiple sports. Perfect for skiing, mountain biking, motocross, surfing, paddle sports, or any activity where you need a freely moving mount. 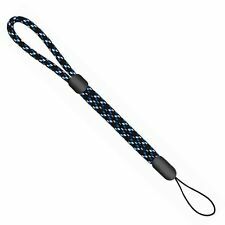 Length of wrist loop 21.5cm. Rest of World. 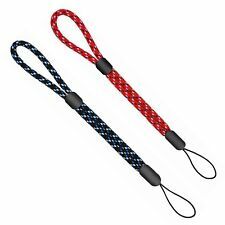 Wrist strap in seconds. Made using a heavy duty ball bearing swivel. Flickr pages. Each strap is designed to float devices up to approx. 200g (7oz). Quick attach and release adaptor so you can fix on and remove your device with ease when back on dry land. 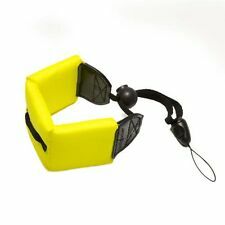 Soft neoprene covered wrist strap with foam interior suitable for most wrist sizes. They’re stylish, strong, and flexible. Full grain leather. A soft and supple leather, 3/8" wide. Footprint wrist strap hand made in the UK with finest Italian. DARK BROWN DAKOTA/ARMY GREEN LOOP. Flickr pages. Full grain leather. A soft and supple leather, 3/8" wide. Footprint wrist strap hand made in the UK with finest Italian. Flickr pages. Adjustable Cobra Bracelet with a plastic push button slip knot fits all wrist sizes. 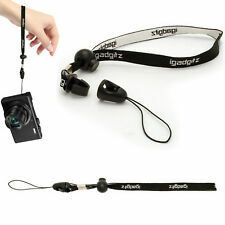 It uses a small cord to connect the strap to the gear. Adjustable wrist strap for comfort and convenience while taking photos on the go. Provide extra secure and comfort when shooting. Color: Black. Where we collect an item from you, we reserve the right to recover the costs of collection from you. 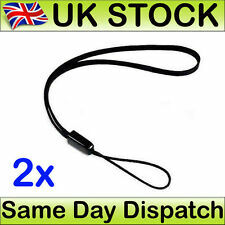 Wrist Strap for GoPro 1, 2, 3, 3+, 4 BRAND NEW!! Specifically designed for GoPro. Wrist Strap for GoPro. Double velcro for extra security. Typographical Policy: We are not responsible for typographical or pricing errors. No Exceptions. - New Arrivals. Connector: Steel O Ring. Color: Black / Red. Super comfortable. Also works great for glasses, iPhone, Go Pro and as a key holder. Ideal for swimming, diving, water sports, cruises, boating, and travel. Features a quick release connector, making your device accessible quickly. 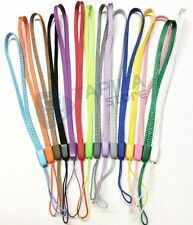 Soft cotton Wrist Hand Strap make your hand comfortable. Connection Band Width: 0.5cm. UK Orders Rest of World We're sorry if your item is not in perfect condition.